Ivan has been living at the Big Top Mall for 27 years. He was kidnapped from his family as a baby and stuck in a cage with a dog and elephant as friends. Ivan has learned to paint and keeps himself busy by watching TV. 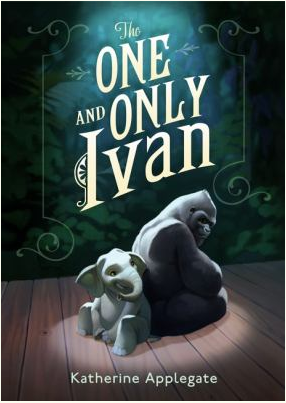 ﻿Do you think it was right to keep Ivan in a cage? 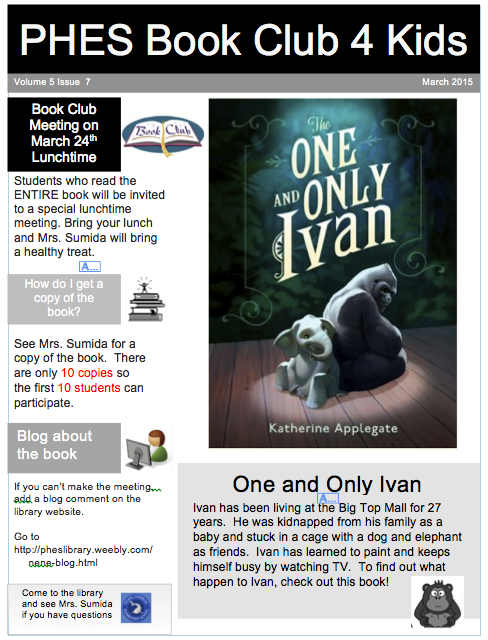 All students who leave a message will be invited to a special luncheon in the library to discuss the book on March 24th. See Mrs. Sumida for a copy of the book.